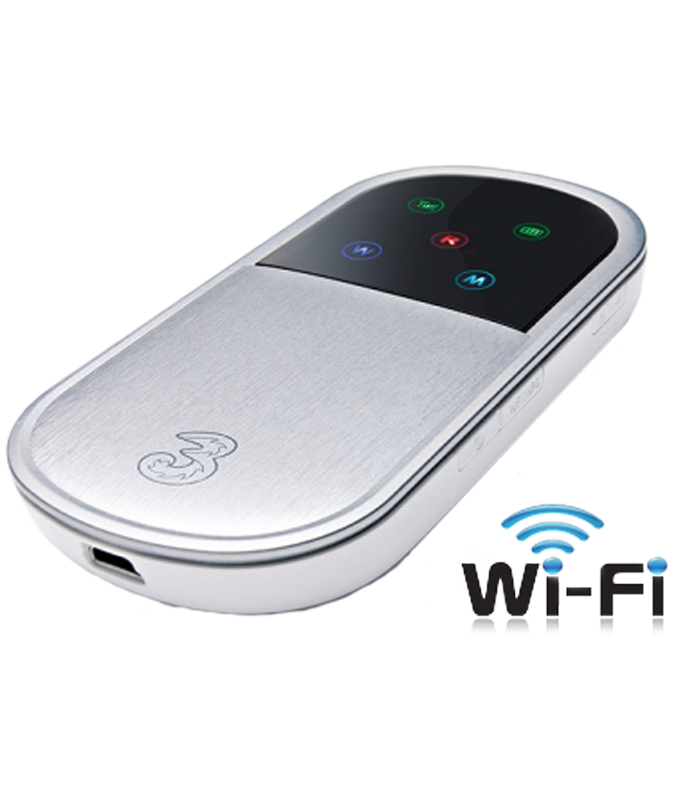 Our MiFi Hotspot Rental for Italy creates your own personal and secure Wi-Fi mobile hotspot with which you can connect up to 10 devices at one time. You and your fellow travelers can connect with any Wi Fi enabled device including smartphones, tablets and computers. This is a convenient and affordable solution for your entire group to stay connected during your entire trip without worrying about slow data or limited amounts of data. Use Google Maps, WhatsApp, Skype, check your emails, watch videos and listen to music and even do online banking securely. The Mi Fi comes preconfigured and ready to go. Just turn it on, enter the password and you are ready to go. Coverage is on Vodafone which has a fast 4G/LTE network throughout Italy including the islands of Sicily and Sardinia. The MiFi offers 50GB of data at 4G LTE speeds which is more than enough for 99.9% of all travelers. If your rental period exceeds 30 days, you will receive an additional 50GB of data after the initial 30 days. 4G coverage is available in over 3,500 towns and cities in Italy and 3G service virtually everywhere else. We recommend you visit our "Reviews" tab to get ideas of how other users have used their Italy MiFi Rental to make their experience in Italy more enjoyable. *7 day minimum. You will receive 50GB of data per each 30 day period or portion thereof. For example, if your rental is for 32 days, you will receive 50GB of data for the first 30 days and an additional 50GB of data for the remaining 2 days. Ordering Cellular Abroad's Italy MiFi Rental is easy. You can order online or speak to one of our expert advisors at 800-287-5072 and they can place the order for you. Time permitting, we deliver the MiFi Hotspot Rental at least 2 business days prior to you departure using USPS or FedEx. We can deliver the following day (except Sunday) for those with immediate departures. The MiFi comes charged and ready to go from the moment you hit the tarmac in Italy. The Italy Mi Fi Rental offers coverage on Vodafone which is one of the fastest and most extensive networks in Italy. While there is not carrier in the world that can guarantee 100% that there will be coverage in a particular location, the rule of thumb is that where there are people (towns and cities) and roads, there will be coverage. If you are renting a villa in the countryside or in the mountains or any other remote location, the only way to know 100% if there is coverage where you will be staying is to ask the owner of the villa or apartment, or the hotel staff if you are staying at a hotel, if there is data coverage with Vodafone. To view a coverage map, please click on the respective coverage link for Vodafone. This link will show you coverage maps for 3G and 4G data services https://www.vodafone.it/portal/Privati/Vantaggi-Vodafone/4G-Vodafone/rete-veloce-4g-copertura. I rented a Sim card for my Galaxy phone. It was a little confusing at first to get it installed and use it but once I figured it out it worked great and I'm so glad I had it. My particular number already had some money on it which was nice, but I easily found a convenient store where I could purchase more for it. I rented a car for 2 weeks and drove all over Italy. I cannot imagine trying to do that drive with just a map. Being able to have data access to Google Maps was the best thing and saved me so much time. I was outside of Venice, over to Trieste, into the Dolomites, Como area, in Tuscany, Amalfi, Rome and more. I pretty much had service everywhere. There were definitely a few areas where it didn't come in but that's just like our cell service here-it's not 100%. But I found that usually those areas had wifi you could use. I was able to Viber (I prefer the quality of Viber over Skype) with my family back in the U.S. and upload to Facebook. I used the data constantly and had plenty to spare. Having an Italian number was great so when I met locals they could get in touch with me. The one thing that I didn't like but got around was you couldn't just reply to a text message. Somehow the country codes and stuff got messed up so while it looked like the text message went through, it really didn't. I can't remember the exact details but I had a local help me and we figured out what I needed to dial in order to get the text to go through. Other than that, it was great having it. Initially I thought the price to be too expensive but after the fact I'm so glad I had it that I think it was well worth the price. Didn't work for us in the Tuscan countryside. Per their own advertising they say good anywhere in Italy. We couldn't get it to work at our villa. When we went to the city it worked fine BUT battery life was maybe a couple hours on our unit. Waste of money on our trip. I would suggest buying the travel package for data on your cell phone. Our cell phone did work in the countryside. Had we stayed in Rome or Florence it would have been fine. The coverage in Italy on the carrier we use (TIM) covers 99.7% of all users in Italy. While you do not have to necessarily be in a major city to get coverage, there is no such thing as 100% coverage. While TIM is the largest carrier in Italy, it does not work in every corner of the country...as unfortunately you found out. You were in a villa in the countryside as you mentioned. The only way to know 100% if there is coverage in a remote area is to ask the owner of the villa if there is data coverage with Telecom Italia Mobile in their villa. And we do apologize that you did not have service where you were. I also see we gave you a 50% discount. Used the hot spot without any problem on my laptop, I PAD and cell phone in coastal Sicily in a rather small populated town so the coverage was excellent. I would recommend to anyone traveling. We spent 10 days in Italy, mainly in Tuscany. We were staying in Cortona, but traveled to Siena, Florence, and Rome. We took the MIFI with us and never had a problem. We used it on the go to look up directions, information about sites and even were able to Skype our family back home with it. It is small and portable, which made it extremely convenient to carry around with us during the day. We had four devices connected to it and had very few problems whatsoever. Loved having Internet anytime and anywhere! Better than some hotel provided wifi. Battery life isn't that great when you leave them on for long periods of time. Very helpful customer service when I had an issue over seas and they fixed my problems immediately!!! Very helpful to have in Italy. We were there for a month, staying in two different places. One advertised wi-fi, but didn't really have it - the other didn't even pretend to. Once working (the first couple of days were a little sketchy), it worked pretty much anytime we needed it to. Nothing like broadband, but waaaaaay better than nothing. You have to be careful with data - it's not really unlimited. You only get 10 gb at 3G speeds and then it's down to 2G. You can burn through 10 gigs in a month pretty easily if you don't pay attention to what you're doing. But if you do, it's OK. On balance, our month in Italy and our ability to stay in touch was greatly enhanced by the portable hot-spot. The hotspot worked exceptionally well in Italy where we were driving so that I could use Google Maps to find where we were headed at all times without having to find an open WiFi site. It saved me hours of possible lost time. It was wonderful. I could access email, web browser and maps to clarify where I was at all times. Used on recent trip to Italy where wifi connection was not always adequate. Our bed and breakfasts/hotels were usually good but a conference center and train travel had no or poor signal strength. This hotspot solved all of these issues. If a hotel did not have good, free wifi it did not matter. We were covered. Helped several other people at times to connect so now they are fans as well. Used it on a family trip to Rome. We had multiple devices with us which were used on a daily basis. Sometimes we had to limit devices to the 5 allowed. Otherwise it was reliable if kept charged. It was possible to power through a laptop USB port and keep right on surfing! we were traveling 10 days in sicily - mostly rural. Unlimited data in Italy!!! a few places with poor reception, but we could always find the information and maps we needed along the way to improvise our trip with a loose structure and benefiting from locals' advice, TripAdvisor recommendations (Google translated from local Italians' reviews) etc. Used for week vacation with family. Wanted family to have internet access while travelling. Could only get service by plugging into hotel or car power. Battery dead within an hour if not plugged in. While powered, internet service was good. The product would not work adequately if more than device needed wifi. We brought two laptops and one ipad. We could only use one device at a time. I was traveling to Italy for 10 days and this product worked great! At the hotel, at the beach at any time. My web site has lots of graphics and it loaded fast and I also did not go over my data limit. Great product! I recommend this to a friend of mine that is going to Germany for 3 weeks. Worked only sporadically. Customer service did not answer the phone nor did they respond to email. The product worked flawlessly in every city we visited and between cities as well. No reliance on expensive wifi access at each location. Plugged in easily to our USB chargers each night and provided ample bandwidth for 4 mobile devices within our group simultaneously. Well worth the money and CellularAbroad made it very easy to purchase/return. We requested a spare battery and were told that one might be included, but no promise. When the unit arrived with no spare battery, two days before we left for Italy, it was too late to buy a spare online. The battery does not last a full day, hence we lost our GPS. We were told GPS would not cause us to exceed the 10GB of data credit, yet when we were at our home base the internet was painfully slow even with only one device using it and even slower when two devices were using it - so slow that the internet was nonfunctional. Using an ipad for GPS worked fairly well throughout both Tuscany and Umbria, though the map display would often go blank. I think the mi-fi was too expensive for the performance we received. If you want it for GPS I'd recommend paying for GPS in your rental car. We rented the hotspot and used it throughout Italy and always had coverage. We were able to stay in contact with friends and family back home via email, Skype, and FB for much less than it would have cost if we used the global roaming on our cell phones. There were four of us and we were all able to connect with our smart phones and iPad. I would definitely do this again the next time I travel! Great product and great service. Provided great coverage throughout Italy. Used primarly for GPS travel and internet access. Made travel a breeze. I now would not travel without a MiFi. We were in Italy and it was very convenient to have our own WiFi connection and not have to depend on a hotel's. While traveling through from Rome to Trent to Venice and back, the MiFi worked great. I never lost coverage. The only negative was the battery seemed to only last about 3 hours. I adjusted to that. A great deal for traveling and always have email and facebook coverage. It worked all over Italy! I used this product from the top of Italy in Venice to Bologna and Rome, south to near the boot in Pompeii & Napoli, and on the island of Capri. We rented the WiFi device for our trip to Italy to use with our Android cell phones and laptop. We downloaded Skype on our phones and secured an account so we could make calls to family in the USA as we don't have international phones. We also wanted to use it for internet access to aid in navigating the cities we were visiting. Upon arrival in Italy we attempted to enter the PIN listed on the sticker on the device. It was in all lower case and wouldn't work. Turns out it should have been in Upper Case; would have been nice to have been listed that way. Finally got the PIN to work but the device wouldn't connect to either of our cell phones or laptop. Called the CA phone number and they couldn't get it to work either. They offered to ship us a new one and adjust our charges but we wouldn't receive it for 5 more days because it was Friday in the US, then delay with customs. We decided to try the device we had again the next day and it started working. It worked for a few more days, then connection was lost again. By this time we had the new one and were able to use that one. Cellular Abroad were very nice to deal with but it was just frustrating that we couldn't use the device when we needed it and if we hadn't had the replacement one, we would have had even more trouble. Product was shipped with incorrect configuration, so it took some research to figure out how to get it working. Once done, it served us well on a two week vacation. Product had to be completely reset several times but after that it worked great. required several phone calls back to US from Italy. Reset instructions should be included with product. Needed Internet access while traveling in Italy. Got the WiFi access point before leaving US and had access immediately on arrival. I was the envy of my traveling group because I had access and they did not. Good product, worked well. I rented a hotspot for a trip to Italy. It was awesome and saved the day. We were able to connect multiple devices and stay in touch as needed. From working with clients (and them not knowing I was away). To video chatting with family, it allowed it all. Great device! Using the wifi with my iPad was mostly a great experience. I planned on using it instead of getting a GPS for the car. It was too slow to keep up, so that was just me being cheap. Using it in the cities while we were walking was great! Venice with all its little alleyways and canals was a breeze. Very few places did we lose a signal, we were all over the North of Italy. I would recommend they include a car charger for it. I had one for my iPad and it worked well. It was really nice that it was one price, because we used it ALL the time. This little device is amazing. I was traveling through Italy but still needed to get some business done. I had my iPad with me & this little Wi-Fi device allowed me to do business anytime anywhere. I will always have one of these when I travel. Was a heck of a lot better than nothing! The product was a little on the expensive side to rent, but due to the fact that there was no internet where my family is from in Italy, this was a real lifesaver. There were certain parts where this didn't work at all, but when it found a connection, it was lightning fast. It was a bit hard trying to figure out what all the different-colored blinking lights meant at different times, and it was also difficult to shut off. The battery needed constant charging. I travel outside of the country every year for pleasure but I am usually also working while away. I have had many problems in the past with the internet plans I've taken with me - they lacked a consistent connection and were flat out slow when they worked. This past April I traveled throughout Italy by motorcoach for two weeks and used CellularAbroad for the 1st time and it's Italy MiFi. It's performance was fantastic, and not just while I was at work in my hotel room. I used it several hours a day while traveling on the motorcoach in the rural countryside. The difference from the companies I rented from on previous trips was like night and day. I'll be using CellularAbroad again this spring in Panama and expecting similar results on the canal. I rented the data sim and the mifi for my 3 week trip to Italy. The data sim came with unlimited data but very limited calling credit. But this was clearly indicated on the web site. So all I did was to buy credit from the local tobacco store on arrival. I was very happy with the coverage and the data service provided by the cellular provider and I would rate it top notch. It's a good thing I ignored the warning and tried the wifi password before leaving for Italy because it didn't work and the unit couldn't be reset to default. They next dayed me another one but once I got to Italy I found out that it wasn't activated which caused me to lose 2 days of my rental until I could contact them. I found out that you can buy an Italian phone with built in Mifi reasonably once you get to Italy. I recommend this. I used coverage for two weeks while in Italy. I had to be in touch with my office with no gaps. It worked beautifully and it was such a relief to know that even out of the main cities, I could and did connect with no worries. Huge help to me. Recommend. We took this to Italy for 12 days and, despite the slower access, used the heck out of it. We charged it in the car using it 100% of the time while driving around the country. Then, I stuck it in my cargo pants and used it to power our iPhone WIFI - loved that but the battery life was short - had to turn it on and off quite a bit to preserve the battery. Some rural areas signal didn't work. I purchased this modem to use in Italy on vacation to create a wifi spot that I could use my ipad and laptop with so I wouldn't incur enormous charges for internet use. Initially the modem did not work, but after getting on the website and clicking the chat option, I was given extraordinary customer service and the modem was fixed remotely for me. After that I had no problems. I am pretty good with technology, so I was able to get to the chat option and get someone to help me. However, I am not sure what would have happened if I didn't have the saavy that I do. Nevertheless, after customer service helped me, the modem worked perfoctly and I could take it anyway I went in Italy and had an instant wifi spot. It was perfect and exactly what I needed. This was perfect for our trip to Italy. We used this with our iPad2. We had good coverage as we travelled from Rome to Florence and most of Tuscany. Will rent one of these for every trip overseas. Would buy one if I could. The Italy MiFi Rental can be used in other countries in Europe as well for no extra fee. Please refer to the list of countries below.